ROI ( Return on Investment) is one of the indicators to charge how profitable of your property investment is. There are several type of property investments, today I would like to share with you on the residential property (rental income). *Cost of Investment (All the costs involved in paying down the deposit to obtain the property in loan/full payment). By selecting a good property as well as having a good return strategy, you are able to generate higher than average income. Value-added services such as good amenities, public transport services, education needs, leisure and entertainment facilities, as well as Club House concept and G&G(Gated & Guarded) provides a better environment as well as competitive edges as compared to neigbourhood nearby. Internally, having a good renovation plan not only make your property looks good, but it can differentiate yours with the similar house and hence produces higher rental returns to the rest. If you think of long term investment, buy property in suburb of major cities can provide you a better return. For example in Malaysia, Sungai Buloh will be one of the hot spots of Greater KL plan. Iskandar Malaysia region is also another hot spot under Malaysia Government plan. Sometimes, having a negotiation and good relationship with property developers / bankers / lawyers not only giving you a lower cost of investment, but it can also provide you a better opportunity of investment in property market. There are better mortgage loan which suit to your investment needs. Some property developers such as Mah Sing have introduced 'Membership' concept by offering the buyers of its products to preview and enjoy discount rate for its coming property launches. 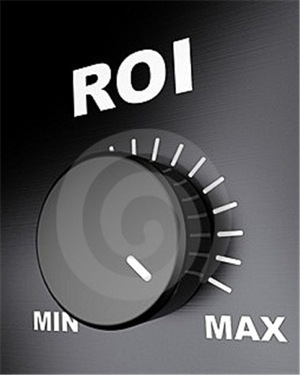 Although ROI is a very important concept, but IRR is another concept to judge the time value of money. For example, if both your return and cost are the same (meaning to say ROI is same for both opportunity of investment, then you should pick the investment which gives you shorter time to achieve the same ROI). Thanks for sharing such a fantastic blog . Loved it. What a nice blog post!